LameXP Portable 4.16 Build 2134 has been released. LameXP is a multi-threaded audio converter with support for a variety of formats. The Nero AAC Codec is also available as a plugin to enhance the app. It's packaged in PortableApps.com Format so it can easily integrate with the PortableApps.com Platform. And it's open source and completely free. LameXP is a free multi-format audio file converter that supports a variety of output formats, including MP3, AAC/MP4, Ogg Vorbis, Opus as well as FLAC, and that can read a multitude of input formats. It also supports multi-threaded batch processing. LameXP Portable is packaged in a PortableApps.com Installer so it will automatically detect an existing PortableApps.com installation when your drive is plugged in. It supports upgrades by installing right over an existing copy, preserving all settings. And it's in PortableApps.com Format, so it automatically works with the PortableApps.com Platform including the Menu and Backup Utility. LameXP Portable is available for immediate download from the LameXP Portable homepage. Get it today! Why do I need LameXPPortable? LameXP has a portable feature "out of the box" ( http://lamexp.sourceforge.net/doc/Manual.html#portable-mode ). Why do I need LameXPPortable? 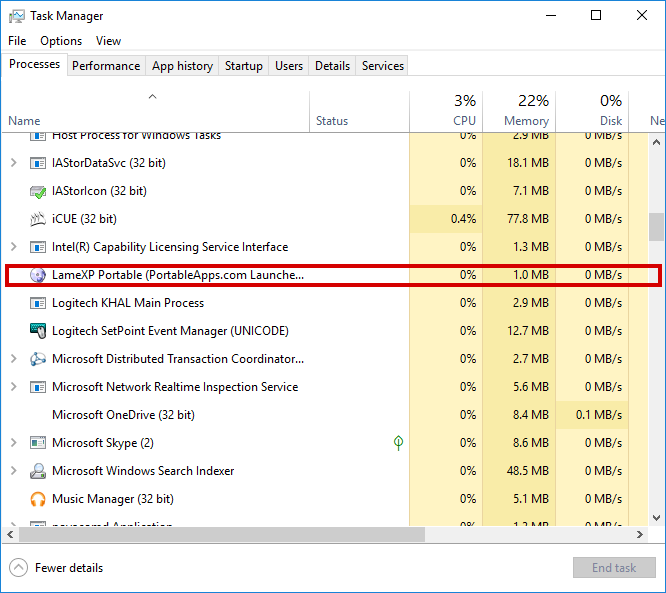 To Launcher from PortableApps.COM wasted 40 MiB of RAM ( https://portableapps.com/node/57185 )? Or to confuse the user by creating 10 versions of the same program? Second, like most 'portable' apps, LAME XP will lose some stuff as you move around. The launcher portablizes the paths within Lame XP's settings file so that things like your Output directory are preserved if you move between PCs and the path to your drive changes. Or you sync between PCs with different usernames using Google Drive/Dropbox. Fourth, if you want, you can just use the non-PAF version if you don't care about the backups, automated updates, verified virus-scanned releases, etc and want that 1MB of RAM back.